Smudges all over the touchscreen or an evident fingerprint trail of the latest must-have game you're addicted to imprinted on the screen? Regular cleaning of the touchscreen of your cell phone, tablet, MP3 player or any other touch screen device is essential for its upkeep and longevity. 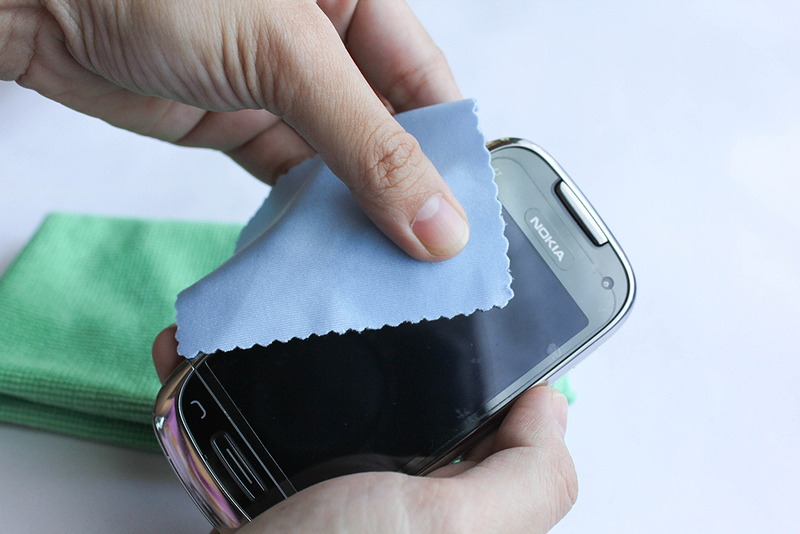 Wipe away those smudges with ease and know how to avoid doing anything your touchscreen won't appreciate much. Microfiber cloth or a similar, soft and lint-free cloth. Distilled water or commercial touchscreen targeted cleaning agent. 2. The cost of such cloth varies. For cloth recommended by companies for their products, the price can be considerably higher simply because of the recommendation. Look around for a good deal on such cloth or substitute with a cheaper but still effective microfiber cloth. 3. Turn off the device before commencing to clean it. It is usually much easier to see where to clean when the device is switched off. 4. 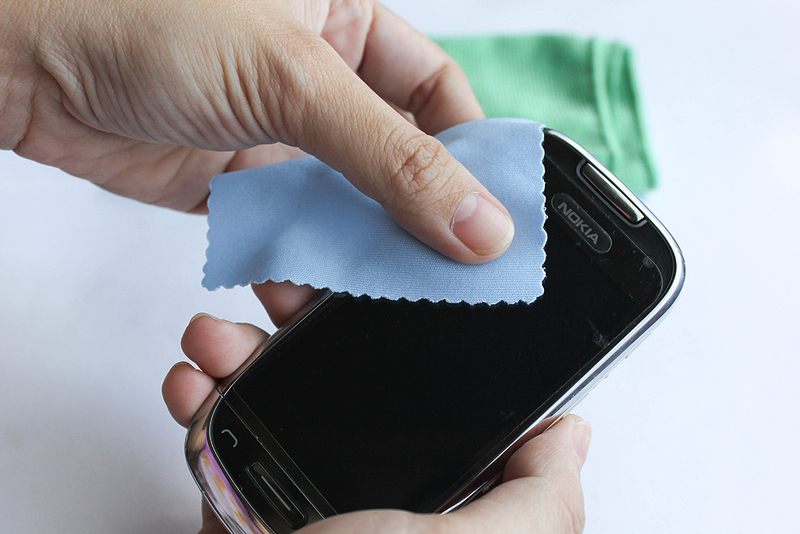 Give the screen a once over by brushing it with the microfiber in small circles. This will remove the majority of simple imperfections. 5. Only if truly needed, moisten a cotton cloth, even the corner of your cotton shirt, and repeat the small circular motions. It may actually be enough to just breathe over the screen and use that moisture to clean with. 6. Read the instructions accompanying the cloth you're using. Some of them need to be made slightly damp before use. If this is the case, skip this step and follow the cloth's instructions instead. 7. If dampening a cloth, it is best to use distilled water. 8. Brush again with the microfiber cloth to finish off. Don't over-rub though and if there is any dampness left, just leave it to air dry. 9. Do not put too much pressure on the screen when cleaning it. To wash your microfiber cloth, soak it in warm, soapy water. The warm water serves to open the fibers and release the grime that may have gathered. Scrub the cloth lightly while soaking it (not too hard or you will damage the cloth). After soaking, avoid squeezing out any excess water, let the cloth out to air dry.If you're in a hurry you may blow dry it. Do not wash any screens with the cloth until dry (or lightly damp) to the touch. 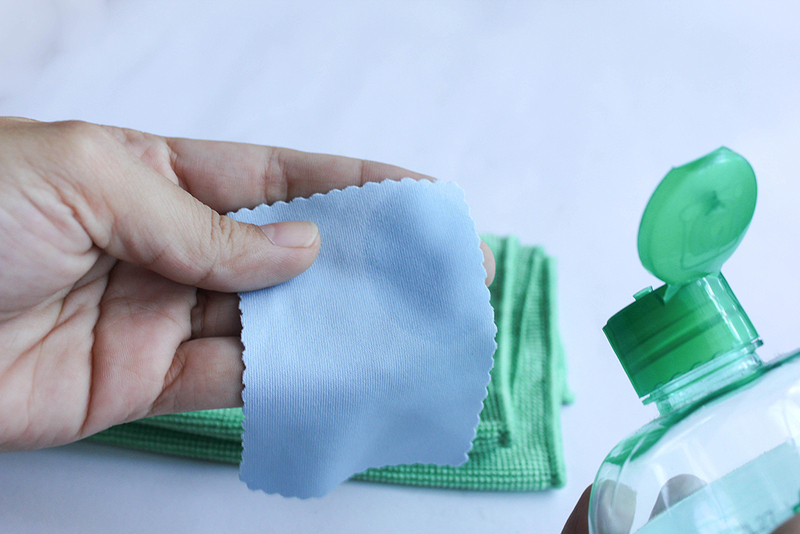 If you do not have a microfiber cloth and the cleaning can't wait, a cotton cloth or corner of a shirt will do in a pinch. If possible get a case for your device to prevent bumping, scratching and prints from happening. 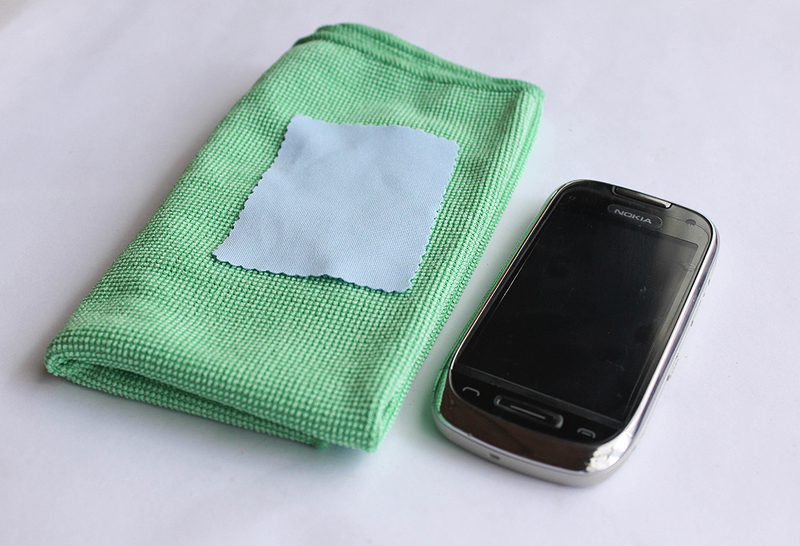 Keep the touchscreen cleaning cloth in good, clean condition. Wash regularly to remove build-up of grime from the screen. It is possible to purchase screen cleaning kits. Often these will include anti-static wipes. However, this may be an added expense that isn't worth the price; do some research first. If you want to further protect you device you can buy a scratch guard , also known as a screen guard. It is a layer of film that protects the screen from the scratches that occur from everyday use.